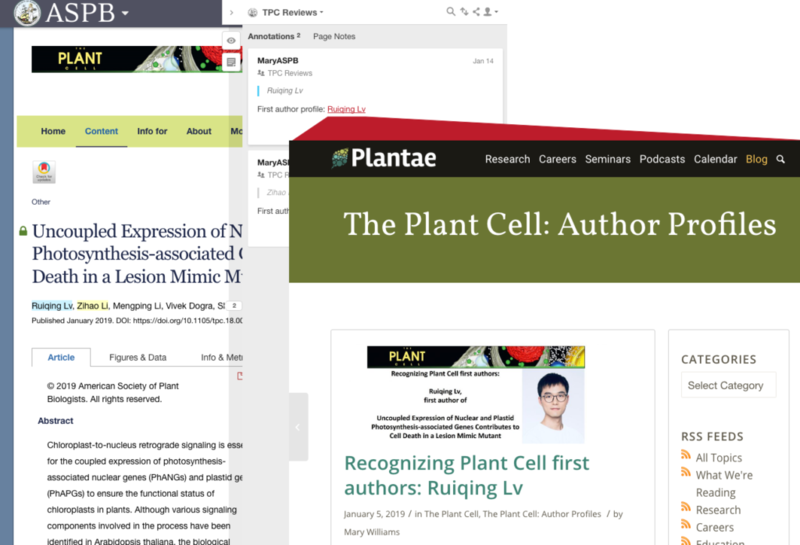 The American Society of Plant Biologists (ASPB) and Hypothesis are pleased to announce a new collaboration to add annotation to the Society’s content, beginning with The Plant Cell journal. With the addition of its own branded Hypothesis group, ASPB joins the growing list of publishers and societies bringing open annotation to researchers, authors, and readers. This partnership further expands Hypothesis’ collaboration with HighWire. ASPB editors are adding some of the first annotations on The Plant Cell to provide links to related scholarly materials, including peer review reports, “in brief” companion articles, and — as in the example pictured below — author biographies. View a dynamic list of all annotations in ASBP’s open group. Hypothesis’ Publisher groups enable content creators to brand and moderate their own annotation layers on top of the version of record. Open groups allow anyone to participate in post-publication discussion. Restricted groups give publishers the ability to determine who can annotate, including journal staff, authors, or invited experts. Publishers or societies who want to learn more about this powerful new capability should contact Heather Staines. To learn more about adopting open annotation in your own publications, contact Heather Staines, Director of Partnerships at Hypothesis and subscribe to news from Hypothesis. To support this growth, the Hypothesis product team has been releasing features to expand the possibilities for using annotation. One of our most powerful new capabilities is a richer groups model, which adds additional group configurations to our already existing private group option. As you can see in the table below, open and restricted groups now support use cases where annotations can be collected together with new options for who can view and add to each collection. 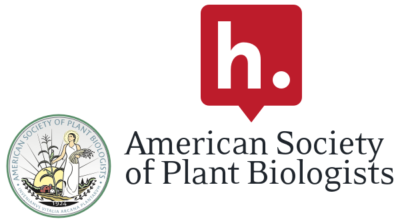 Our partners are already deploying these new groups, like the American Society of Plant Biologists, which is using an open group to add conversation and additional material like peer review reports, companion articles, and author biographies to its publications on the Highwire platform. The table above describes the configurations and permissions available to readers and annotators of the Public Layer and Open, Restricted, and Private Groups in Hypothesis. Everything at Hypothesis happens only thanks to the support we receive from our partners, funders, and community. Thank you for being a part of our first five million annotations! ASPB is a professional scientific society, headquartered in Rockville, Maryland, devoted to the advancement of the plant sciences worldwide. With a membership of some 4,500 plant scientists from throughout the United States and more than 50 other nations, the Society publishes two of the most widely cited plant science journals: The Plant Cell and Plant Physiology. For more information about ASPB, please visit their website, and follow ASPB on Facebook and Twitter. Hypothesis is a nonprofit organization dedicated to the development and spread of open, standards-based annotation technologies and practices, enabling anyone to annotate anywhere. Our mission is to help humans reason more effectively together through a shared, collaborative discussion layer over all knowledge. Hypothesis is based in San Francisco, CA, USA, with a worldwide team. Hypothesis has developed its open source annotation software in collaboration with many partners and sponsors, including specific projects to augment groups and authentication capabilities with eLife, to enable annotation on EPUBs with NYU, the Readium Foundation, Evident Point, and EPUB.js, and many others. We thank our partners and community for working with us to advance standards-based, interoperable annotation for all.